A reader asked me to review and comment on their uBiome results (site). Finally, I have a few hours from excessive support activity to do it. For smaller phylums the numbers can be worst, up to a 7x difference. Clearly there is a dysfunction of the microbiome. This is not caused by diet, none of the diet groups are anyway close to this distribution. Nor is this causes by antibiotics (which some MDs would claim to dismiss dealing with this shift), uBiome provides a handy table to exclude this speculation. We will start with the biggest phylums that have shifts and proceed towards the smaller ones. See wikipedia for a list of known foods. The best single item after reading the literature is adding gum arabic to your diet (Recipes: ifood.tv) or make pills of it and take daily (up to 30 gm/day is reported safe! – I would suggest limiting to 8 gm) . There seems to be a significant number of articles on PubMed supporting this suggestion. It is also very affordable! Chicory forage (if available) seems very effective [2014, 2006] as well as high dietary fiber, xylose and non-starch polysaccharides. Tomorrow, I will move on to the next phylum. As always, this is educational only — any changes of supplements, food, medications should be done in consultation with a knowledgable medical professional. I’ve just had massive doses of antibiotics and was met by blank faces when I asked if they recommend any probiotics to repopulate! Yours is all great stuff! Prescript Assist was design to re-populate after antibiotics and does result in IBS remission. Thanks! Will use that, + some of the others you mention! I also had a test with uBiome. Very similar Firmucutes level, but everything else is different. Of course, that missing 14% could easily turn out to belong to another group. The problem is that at the moment you can only work with the data you have. Clearly some issues going on in the other Phylums – I look forward to reading your next posts about those. You place bifido in the firmicutes category but they’re actinobacteria. Your blog is fascinating and this is quite close to home, because DS has autism. You have CFS, which is also called as adult onset autism. I haven’t met any CFS patient face to face, but would ask them a ton of questions. Somewhere on this blog or Health Rising you mentioned, increase in E. coli in CFS patients. 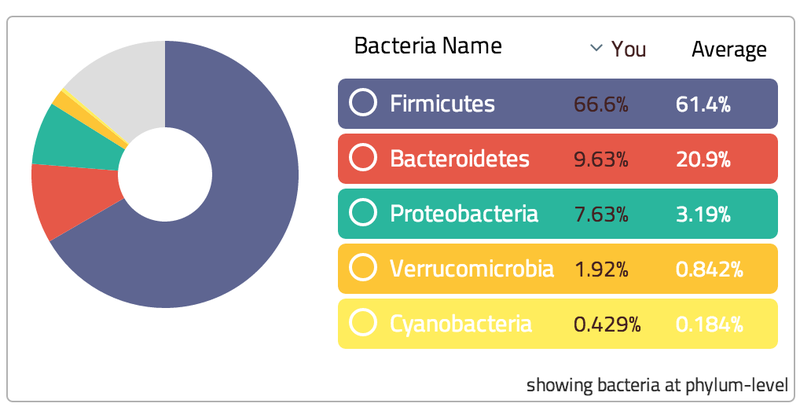 I am not too sure how your uBiome results look like, but there is not a trace of E. coli in DS’ gut. I have IBD and same case. Its not that both of us don’t have bugs from that Phylum (Proteobacteria), we do, but you would expect that E.coli being such a common bug, would be identified in species list. Not the case. Either we don’t have E.coli or uBiome doesn’t identify it as one of the species. What do you think? Do you have E.coli as identified species?